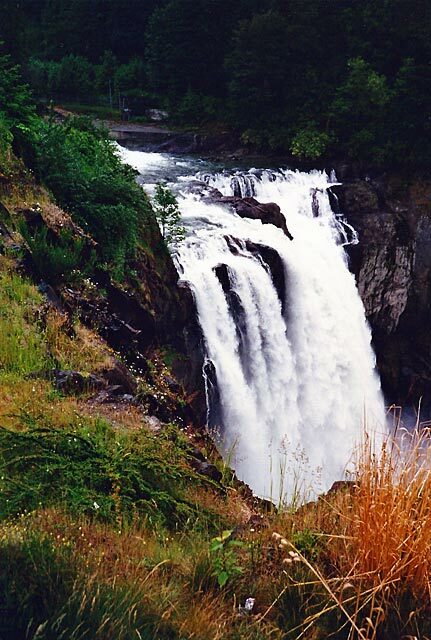 Including photos from Mount Ranier National Park, North Cascades National Park and other scenic areas of the Pacific Northwest. 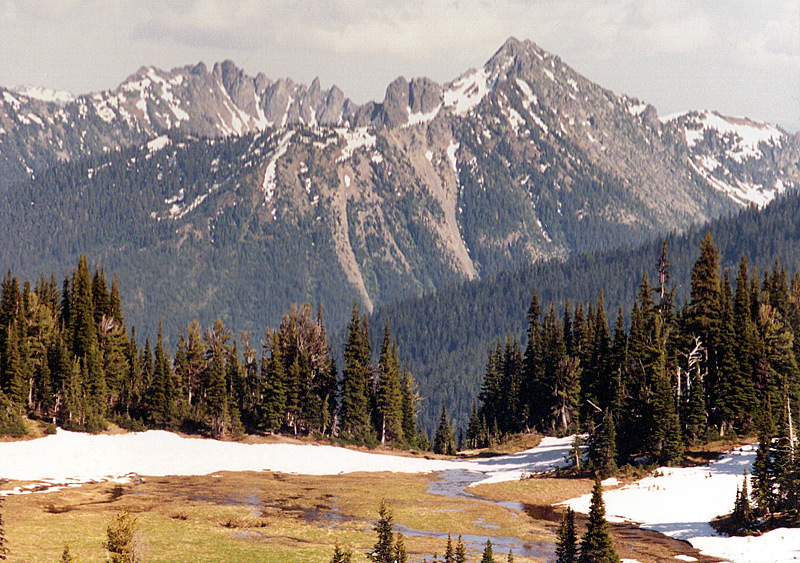 See also Olympic National Park. Mount Rainier as seen from the Sunrise Visitor Center well may be the most massively impressive mountain I've ever seen. 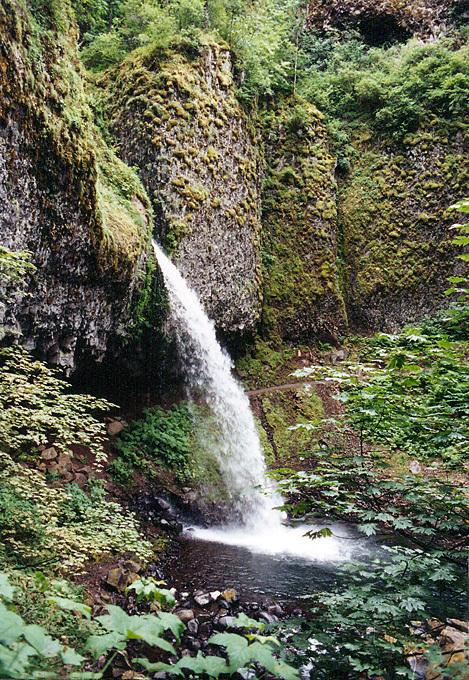 This photo was taken during a short hike on of the trails near the visitor center. 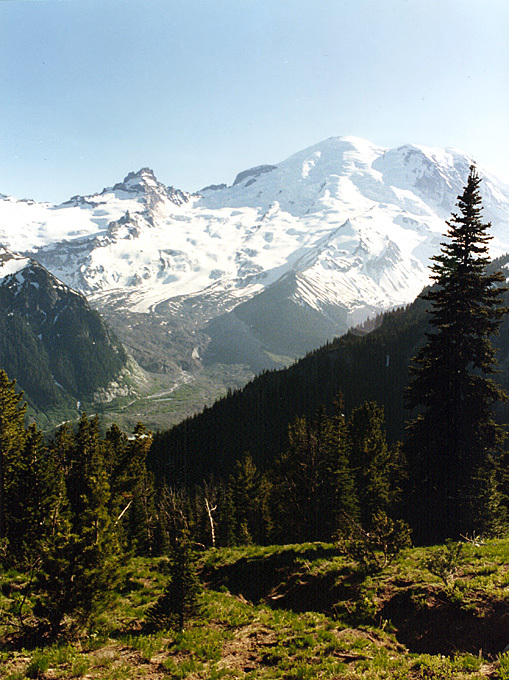 Another view from one of the trails near the Sunrise Visitor Center. 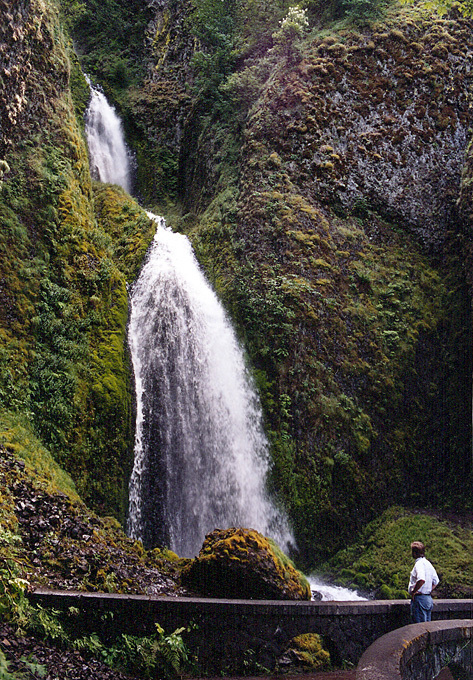 Just across the border with Oregon you'll find many things to see in the beautiful Columbia River Gorge National Scenic Area, including a great many waterfalls. 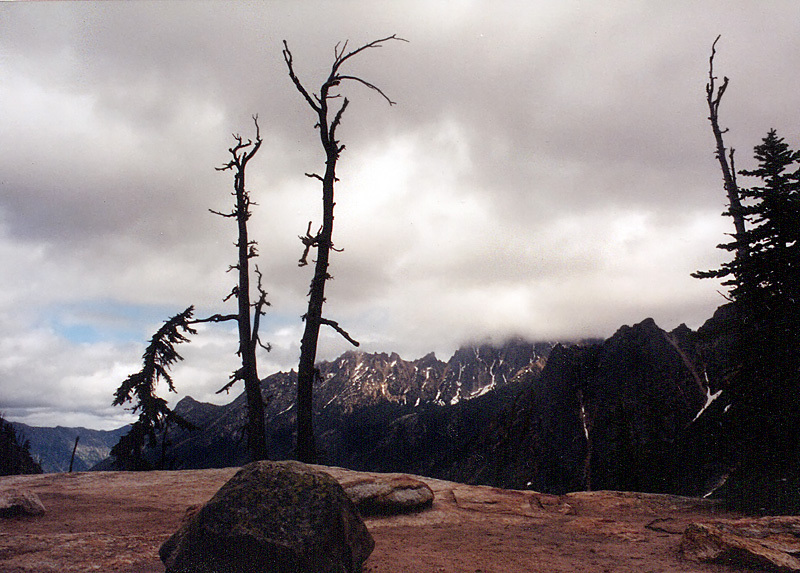 North Cascades National Park: the half-day I spent here was mostly completely socked in with clouds, so this was the best shot I could get. 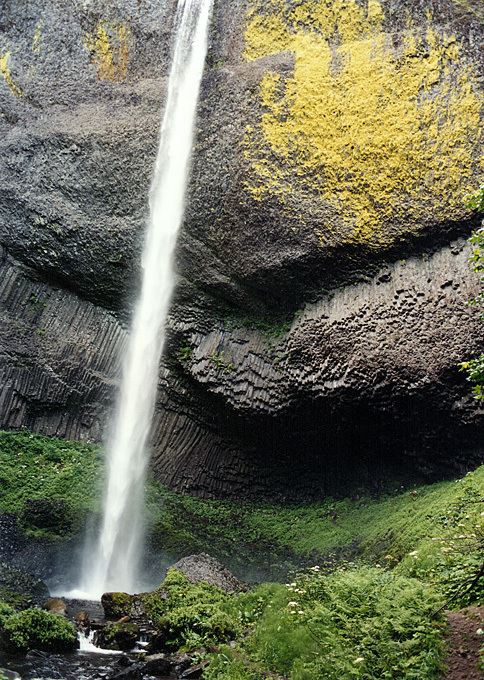 It was taken from an overlook on the main road through the park. 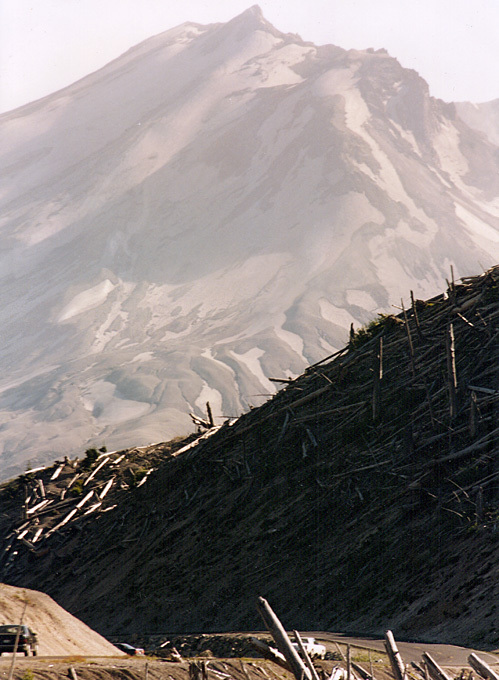 A picture of Mount St. Helens from 1991. 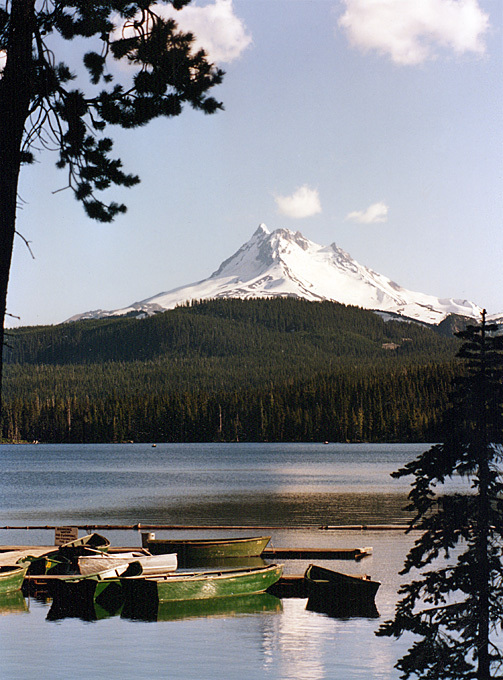 Mount Jefferson and Lake Olallie, in the Mount Hood National Forest.